Standard Gold, Black, Chrome Tremolo - Default (+$60.00) Made in South Korea. We will match to the hardware exactly as pictured in the website. 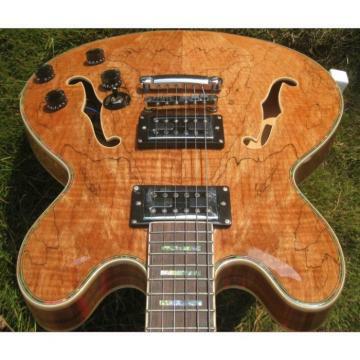 Authorized Kahler Tremolo System (+$249.95) Authorized Kahler Tremolo System Made in USA. This is an optional upgrade. Therefore not required. Gotoh Machine Heads (+$198.95) To check our Gotoh Hardware Collection Made in Japan, please check our Gallery. This is an optional upgrade. Therefore not required. Dexterity / Player Preference:Choose in the option below if you are right or left handed guitar player. Body Wood:All our instruments are handcrafted from quality tone woods. If you're just starting out, we recommend you choose the wood that appeals to you most based on its appearance. Maple - Default Hard Maple is a very hard, heavy and dense wood. This is the same wood that we use on our necks. The grain is closed and very easy to finish. The tone is very bright with long sustain and a lot of bite. Mahogany - Default We use African Mahogany in our body production. Mahogany is a fine grained wood with great musical properties. The tone is warm and full with good sustain. Ash (+$30.00) It is a fairly light weight wood. The grain is open and the color is creamy. This wood is a very nice choice for clear finishes. It is a very musical wood offering a very nice balance of brightness and warmth with a lot of "pop". Alder (+$40.00) Alder is used extensively for bodies because of its lighter weight and its full sound. Its closed grain makes this wood easy to finish. Alder's natural color is a light tan with little or no distinct grain lines. It looks good with a sunburst or a solid color finish. The tone is reputed to be most balanced with equal doses of lows, mids and highs. Basswood - Default This is a lighter weight wood and the color is white, but often has nasty green mineral streaks in it. This is a closed-grain wood. Sound-wise, Basswood has a nice, growley, warm tone with good mids. 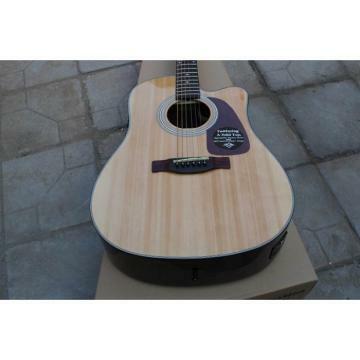 With Hard Case (+$115.00) These deluxe cases are built road-tough with cross-laminate wood construction, plush interior lining, heavy-duty hardware, and locking fasteners that will keep your guitar safe. Customization Requirements - Optional:For Example:Body color: white, black, red, green, blue.Scale Length.Number of frets or No frets.Inlays: dot, sharktooth, birds, tree of life, stars, skull, roman numbers or No inlays.Headstock logo name.Hardware: Gold, Chrome or Black.Left/right handed.Any additional requirements must be indicated in this box. Fretboard:The long strip of wood on a guitar upon which the strings are stopped by the fingers. The choice you make should be based upon your application and personal taste or preference. Rosewood - Default Indian Rosewood has the warm "rock-n-roll" tonality you’ve heard on many of the most famous rock albums in history. The warm tone is also a favorite amongst blues players. Contains natural oils so a finish is not required. The feel is also smooth and fast. Maple - Default Dense, hard and strong, offering great sustain and stability. The tone is bright and fast feel. Ebony (+$30.00) Very hard, smooth and fast feeling, it has a bright, long sustaining tone. Ebony has a long history of a preferred fingerboard choice of high-end electric guitar builders. An excellent choice for fretless necks. Potentiometer:Potentiometers often abbreviated as pots can be used to control a variety of functions inside an electric guitar. Pickups:The Pickups are crucial components on all guitars and basses. They significantly affect the sound of an instrument. If you do not know what type of pickups to choose from then just select Authorized Wilkinson Pickups since this is the standard and default pickups that we use. Rockfield Pickups (+$249.95) Authorized Rockfield Pickups Made in USA. 2 pcs Seymour Duncan Pickups (+$400.00) 2 pcs Authorized Seymour Duncan Pickups. Made in USA. Recommended for 2 pickups guitar. 2 pcs EMG Pickups (+$295.00) 2 pcs Authorized EMG Pickups. Made in USA. Recommended for 2 pickups guitar. 1 pc Seymour Duncan Pickups (+$215.00) 1 pc Authorized Seymour Duncan Pickups. Made in USA. Recommended for 1 pickup guitar. 1 pc EMG Pickup (+$160.00) 1 pc Authorized EMG Pickups. Made in USA. Recommended for 1 pickup guitar. Authorized Wilkinson Pickups - Default Default/Primary choice of pickups we use. Made in Japan. Recommended for all guitars and basses.